This book was captivating. I couldn’t stop thinking about it whenever I had to put it down. In fact, I would have to say it’s my new favorite historical novel. The story opens with a magic show and a murder. Officer Holt is the one-man police force of a small town, and is on the scene of the horrific scene, where a bloodied man has been stuffed inside one of the magic show props. Illusionist Arden is suspected of murdering her husband, and is shuttled to the police department by Holt when he spots her on his ride home. The story switches point-of-view between Officer Holt and Arden. While Holt is questioning Arden, she tells him her life story, warts and all—her sociopathic cousin, running away, broken hearts, and getting her start in illusions. Between flashbacks, the story focuses on the interrogation. There was a romance element weaved into the story, but not so much that it was nauseating. In fact, it felt very real, and was never storybook perfect. For the bulk of the storyline, Arden is focused on her career, in an attempt to live her dream and escape the ghosts of her past. 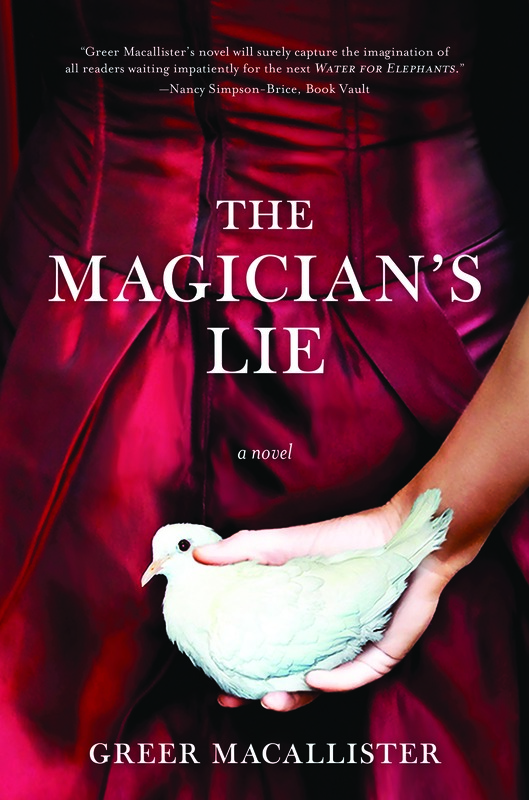 The Magician’s Lie is well-written and engaging. It’s full of twists and turns, and the variation on the narrative points-of-view kept me intrigued and invested in the story. I rated it a 5/5 on Goodreads. The Magician’s Lie will be published on January 13th. I highly recommend! 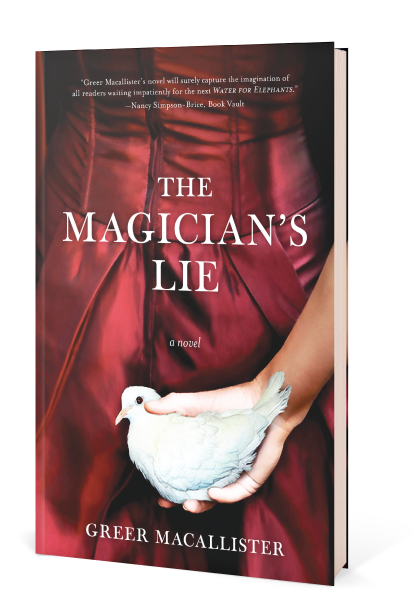 Sourcebooks, the publisher of The Magician’s Lie, has graciously given us a physical copy to give away to one lucky reader! To enter, go to our Rafflecopter entry form. There are several different ways to earn extra entries. The contest ends at midnight on Thursday, December 18th. The winner will be contacted the following day. I entered on Instagram, does this count? I’m not sure if the other way proceeded to work. When you visit the Rafflecopter form, does it show a check mark and say you’ve entered already? If so, it’s gone through!